A frameless shower can take your bathroom from plain to phenomenal. 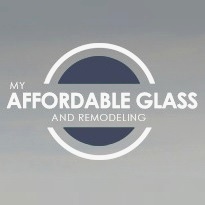 To get the best glass installation, and spectacular hardware options and colors, there is no better glass company in the Lewisville, TX area than My Affordable Glass and Remodeling. With 15 years of experience under our belt, we can tackle any glass installation or window replacement project you may have. Have a custom plan in mind but need a professional for the installation, design, or both? We can help with that too. We proudly use the best window brand on the market, Pella for all of our window installations. With new energy efficient windows, you can not only improve the look of your home and increase its value but also save money on your energy bill.